It’s 10 o’clock at night and you receive an email from your client. Your client — the one who demanded Administrative access to your site yet doesn’t understand WordPress — managed to find the Editor and turned your once stable creation into a scary white screen of death (WSOD). It’s a nightmare, but by setting the right expectations with a client and with the help of a free plugin, you can provide the client with the just the right amount of access to their site. End result: The client is happy. You are happy. Life is good. The administrative role gives access to every element of the site. As a client, this makes the most sense internally. I paid money for the site. I own the site. I should be an administrator. Argue all you want, but the client is always right — with the right expectations. Before you make the user an administrator, set the expectation that administrative access gives full control of the site to the client. Let them know that they could break elements of the site and that you work hourly or on retainer to fix issues that might occur. If you are on support, stress that the client ask you before installing plugins or restrict that access entirely. Finally, make a backup of the site before you give access to use as a reference point to help fix the problem and inform the client of what was changed to make the error occur. It can be very difficult to tell a client that they can only be the “Editor” of a site, but remember that WordPress was created as a blogging platform first and a business generator second. In the publishing world, it is awesome to be the Editor! When you are a business owner, it is not so cool. For our client-facing team, this is the most commonly designated role. It gives the client full control over their pages, posts, and custom post type entry (for the most part). If a client wants to go in and update their page content, they have free reign to do so, but they will not be able to access administrative settings, manage forms, manage their eCommerce shop settings, etc. Our advice? When possible, make the client an Editor and simply explain what they will be able to do, without calling them an “editor.” For many clients, this is enough to reassure that they have access they need without belittling their site access. One glaring exception to the rule is with client eCommerce websites and specifically WooCommerce. By default, Editors cannot add, edit, or view products, so they will need to be made Administrators or special rules will need to be set by the User Role Editor (more that in a bit). The author is probably the role that will be used the least when it comes to client WordPress websites. It is in the middle of the road and only allows the user to create content that they can publish, but it doesn’t give them access to other content on the site, published by others. It is great for publishing content, but your client may not be a publisher. They might own a restaurant. Author is too restrictive to work for smaller businesses and usually too powerful for interns or content creators, whose work should probably be read and edited before being published. 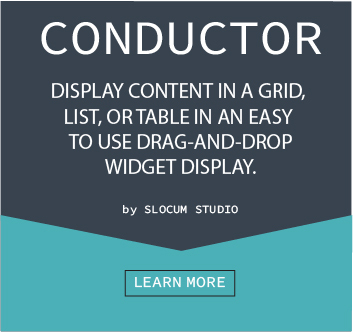 A more fitting role for a WordPress client is Contributor. A contributor is the perfect role for other members of an organization, especially if there are a lot of users creating content. A contributor can create content, but this needs to be approved by an editor or an administrator before it can be “shipped” live. If the client has employees that will be creating content and needs to be able to manage what they are writing than this solution is perfect. It is better suited for larger companies with dedicated site managers and content creators. The subscriber is a role that is only truly useful to a client if used for testing purposes or to get them to login to show something that requires being logged in, without using access. As a more personal example, the only time we like to use this role is when we are building membership sites or applications that require being logged in, to show it to a customer or to let the client use the site from the perspective of the eventual user. What User Role is right for your client? User Role Editor is a free and well-supported plugin by Vladimir Garagulya that gets great reviews. We use it on many of our own client sites and would highly recommend it. With User Role Editor, you are given the ability to add or subtract user capabilities from each user level. To do this, install the plugin like any other WordPress plugin and then go to Users > User Role Editor. A common complaint of User Role editor is that it does not work within a tab. 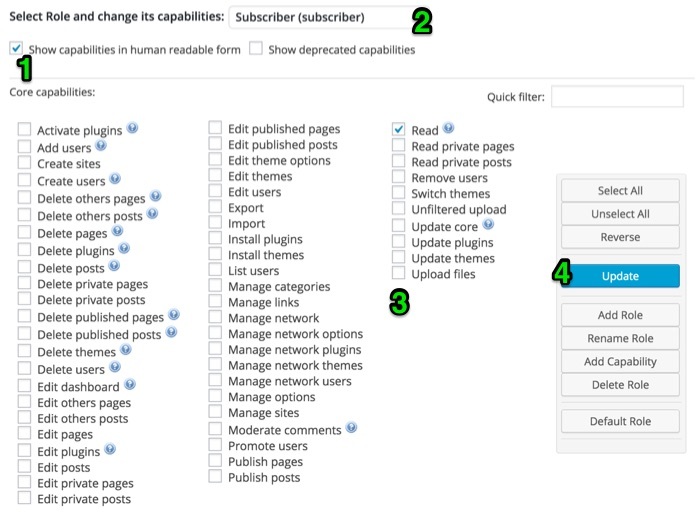 For example, if you your client to be able to access Widgets, but don’t want them to be able to change themes, both options are found under Appearance in WordPress. If you want to get more granular, you can do it, but only with the Pro Version of the plugin. Hey, we don’t make the plugin. We don’t make the rules. If you want to edit capabilities like those of Gravity Forms, WooCommerce, etc, you will want to navigate to the bottom of the role editor page, where all of the third party functions (not native to a standard WordPress install) live. 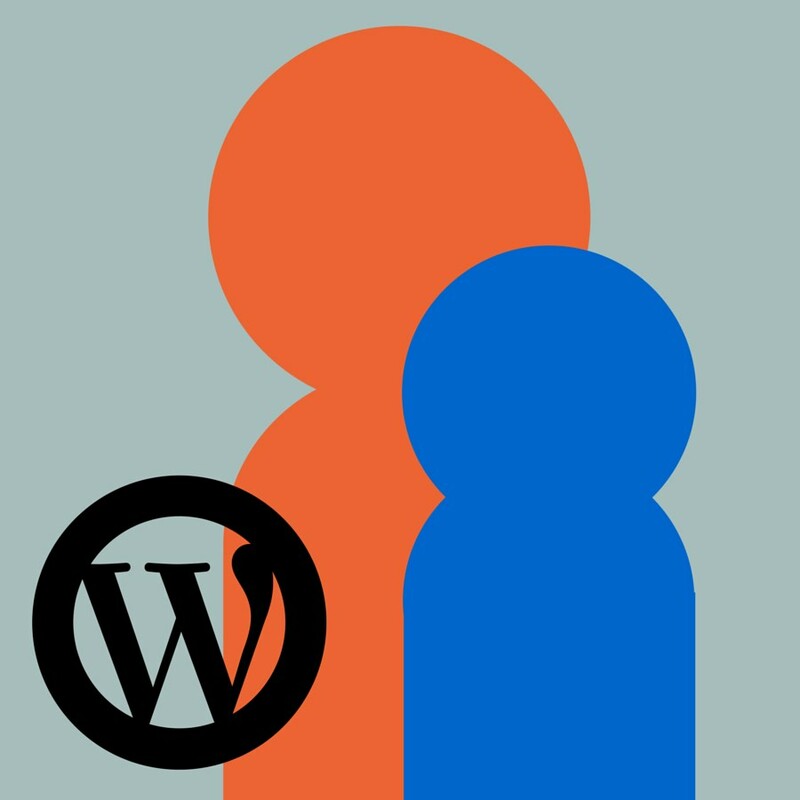 With the knowledge of how to position WordPress roles and the tools to modify them (User Role Editor), you should be in a good place to confidently hand your baby to the paying customer. If you have any questions about modifying user roles or any other tips / suggestions, let us know in the comments below!